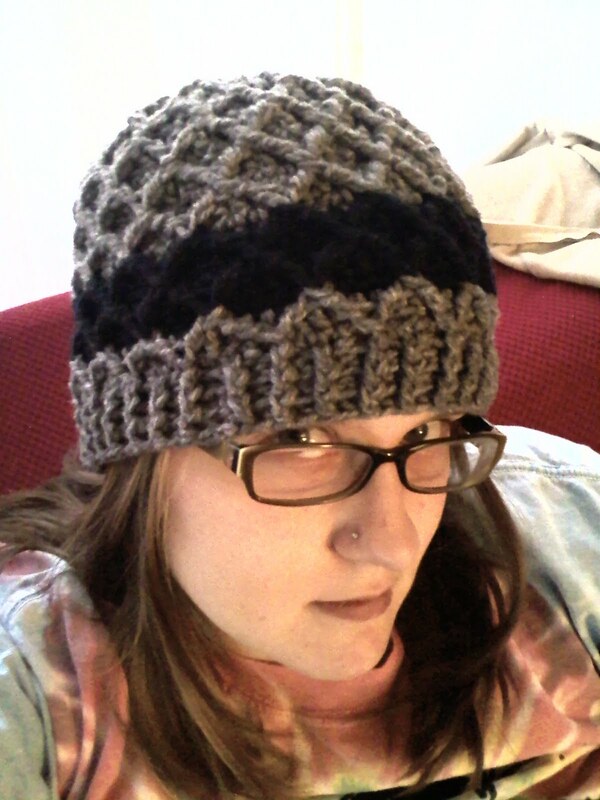 I'm on fire this week with the finishing of crochet projects. 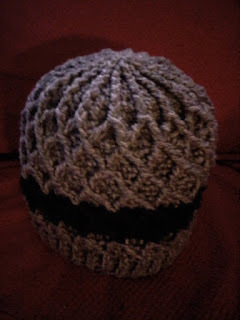 Another one in the bag... the Lattice Hat. Yet another pattern that I've adjusted for myself, for ease of reading as well as understanding. The website that it came from has wonderful step by step photo instructions for how to do the LTC, so all you'll find here are the written instructions. Visit the link if you need more of a visual instruction. YO, pull through all three loops. LTC is complete. Ch 2 at the beginning of each dc row, counts as first dc. For rows that begin with fpdc: ch 2, fpdc down into starting stitch. Ignore ch 2 henceforth. Sl st into the first actual stitch at the end of every row. R1: 9 dc in ring. R12-21: Repeat Rows 8-11, ending with row 9. R22: *fpdc down into sc, bpdc, fpdc, bpdc* repeat around (36 fpdc, 36 bpdc) FPDC should fall on the peak of the LTC and the middle of the LTC. Is there any visual video showing the LTC? I am having trouble getting it right. Went over it so many times and don't know what I am missing. Hello! I tried sending this question to the original creator of this hat, but it absolutely won't go through (and there's no email listed). I hope you don't mind me asking here and understand if you can't get to it! Everything goes absolutely great up until row 11, when all of a sudden my LTCs start slanting off to the side. At first I thought that maybe continuing the pattern would correct the problem, but instead of those nice, neat little diamonds that are in the picture of the finished version, there are a series of parallelograms. 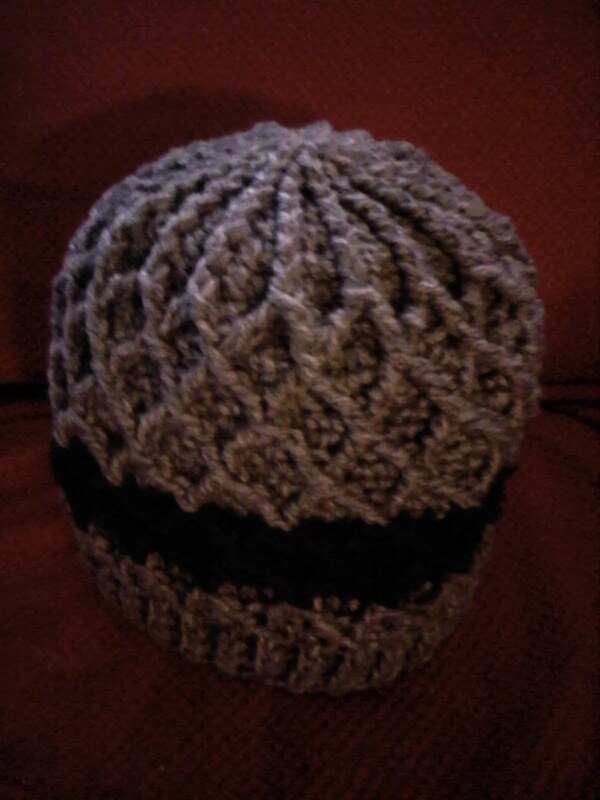 I *think* I've figured out the issue, I just don't know how to correct it or what I've missed/not done correctly in the pattern. When I DC 72 in row 10, I end not directly above the point of an LTC from the row previous, but smack in the middle of two of them. When I start row 11 by chaining 1 and then immediately making an LTC, I'm starting the LTC waaaay off to the side, which creates the slant. However, row 9 went perfectly (I counted stitches and I ended by slipping into the first SC from the previous row) and row 10 also counts up. Any insights? I can send pictures if you'd like. I've tried it three times already. 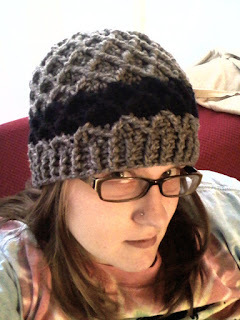 I really really love the hat and have a beautiful yarn I'd like to make it with, if I can get it to work. You can contact me at kristinabelling AT yahoo DOT com if you'd prefer. ...and if I'm still technically doing it wrong, at least it looks good! Thanks again for your help.